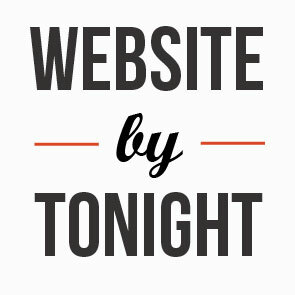 Need a Professional Website Quickly? High-quality service. Fast turnaround. Patina Nation discount. April 30, 2019 – 10:30 a.m.
JOIN OUR IMPRESSIVE PORTFOLIO OF EXECUTIVES WE CALL PATINA NATION! At Patina Nation – we want you to be the best independent executive possible – whether you are working for yourself, working for Patina or even working for our competitors. We all know a good medical insurance plan can be difficult to find when you are working on your own. As a member of Patina Nation – we are planning to provide you with access to a competitively-priced and high-quality group medical insurance plan which also includes wellness, dental, vision and more. We expect this plan to be available for you to apply for by early 2019. The plan will include coverage for you, your spouse and dependents if needed. As an independent consultant, you may have limited ways to save for retirement and the cost of doing something on your own can get expensive. Patina has teamed with well-known industry providers to offer access to our high-quality, competitively-priced Patina Nation 401(k) plan for you and your spouse. It is available to you as a member of Patina Nation even if you have not worked for Patina on any projects or engagements. We now have an interactive communication tool available! This will allow you to connect online with other members of Patina Nation to network, ask for or provide advice, or post a problem a client of yours may be facing for input, and help from your peers – and much more. Our Communities of Practice help you to stay current in your field and to network with other independent consultants. There is no fee to participate in our Communities – so please join as many as you wish. We want you to be the best independent consultant you can be, whether it is working for Patina, working for yourself or even working for our competitors. We’ve lined up a number of professional development programs and webinars to help you continue to grow in your career. You can attend one or all of them at no charge. When working as an independent consultant – we realize there are times where you need high-quality IT support for a variety of issues. Patina is pleased to offer you an IT Help Desk available during normal business hours. We want to make your professional life easier – starting with your computer! Creating and sharing meaningful content is an excellent way for you to stand out when marketing your services. Today there are many channels in which to reach your target audience and find new clients. That’s why we’ve created an offering for you to record your own personalized podcast for a modest production fee. LinkedIn is a great networking tool to grow your business and establish yourself as a thought leader. 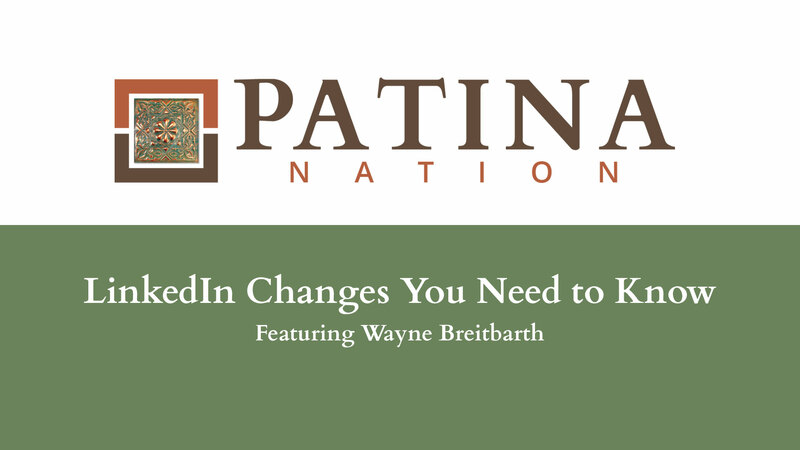 Patina Nation has teamed up with LinkedIn experts to help you do this. Creating a simple but powerful website for your consulting business is a smart way to find new clients. Let us help present you to the marketplace in the best light possible. Services are available for a modest development fee. If you worked in Corporate America – you’ve likely always had access to a marketing department with a wealth of capabilities. Our marketing resources will assist you in always communicating and presenting to your audiences in a clear, effective, and professional way. Living the Patina Lifestyle – it can be an exciting, enriching, and sometimes complicated time in our lives. We plan to offer webinars, programs, and more to help you in your personal journey starting in 2019. Patina greatly values introductions to sitting executives – you can earn money for helping us meet key leaders you know well. Even as rich as the talent is in Patina Nation – sometimes we need to go outside Patina Nation to find the right resource for a particular client need. If you refer a person that is selected as the right resource as outlined in a specific Talent Bulletin – we will happily pay you a talent referral fee. We seek to have a limited number of executives who are willing to work closely with Patina as Senior Advisors, mostly to help us meet key leaders. This is an ongoing role as part of the Patina business development team where you earn hourly pay and commissions on sales. We seek executives with various functional and/or industry backgrounds who help us scope, staff, and manage projects and engagements. These are operational roles where you earn hourly pay or a salary and commissions on sales. Patina is willing to reward you with significant commissions if you refer a specific client opportunity/need to us and we win the deal. This may be for a project you learn about where you do not want to or cannot do the work – or to fill an open executive or managerial position you become aware of. If you meet the qualifications for the engagement, reach out to us or share the post with someone you know and earn a talent referral fee.